As you go about creating a muscle building diet plan to help you pack on more lean muscle mass than ever before, one nutrient that you definitely cannot do without is the carbohydrate. Carbohydrates are going to be what supplies your body with all the energy that’s required to not only carry out the process of muscle building itself, but also to perform those hard workouts in the gym. Some people may try to utilize low carb muscle building diets and while they may work for a very select few individuals, about 95% of the population is better off avoiding these. They just don’t supply your body with what it needs to complete the protein synthesis process. This said, not all carbohydrates are created equally. If you really want to see the best possible results from your muscle building diet plan then you need to be taking the time to select the best varieties. Let’s have a quick look right now at your top options. First up on the list of muscle building carbohydrates are oats. 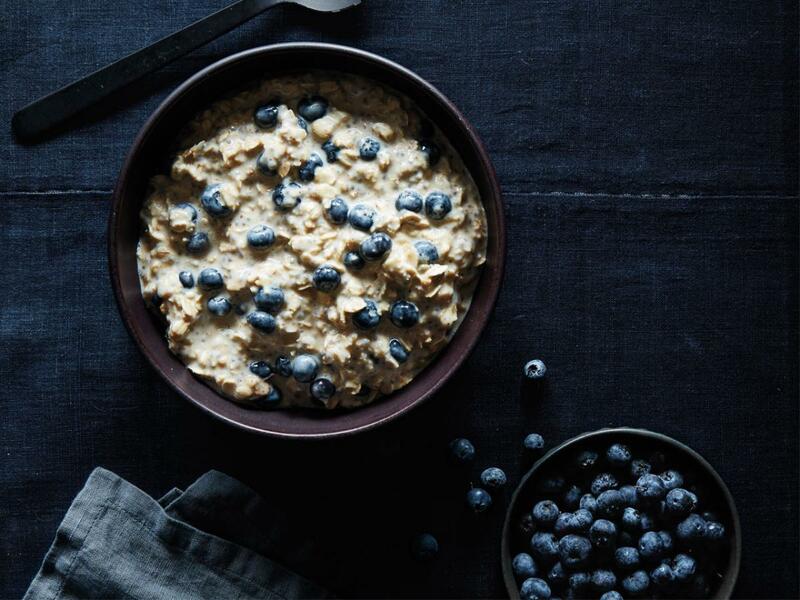 Oats really can’t be beat. They’re high in fiber, low in sugar, and will produce a steady energy release that will last for hours. Now, the thing to remember while on your muscle building diet plan however is that since you are aiming to take in more calories above maintenance, you don’t have room in your stomach for a lot of high-volume foods. Unfortunately, cooked oats are exactly that. So instead, focus on raw oats. Eat these cold like you would any other cereal or start adding them to your protein shakes for added calories. That will get you the nutrients you need. 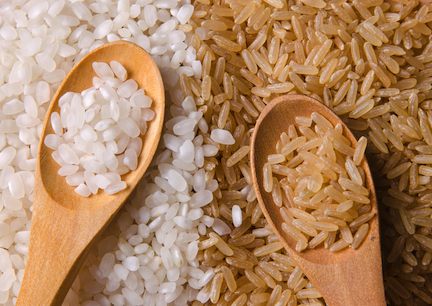 Second on the list of carbs for building muscle mass is brown rice. Brown rice is easy to prepare and works well with just about any meal. It’s also a good source of fiber and will not spike insulin levels quite like regular rice would so you’ll see better overall results because of it. Aim to eat it with at least three meals each day. Finally, the last muscle building carbohydrate that you should definitely consider adding to your muscle building diet plan is dried fruit. 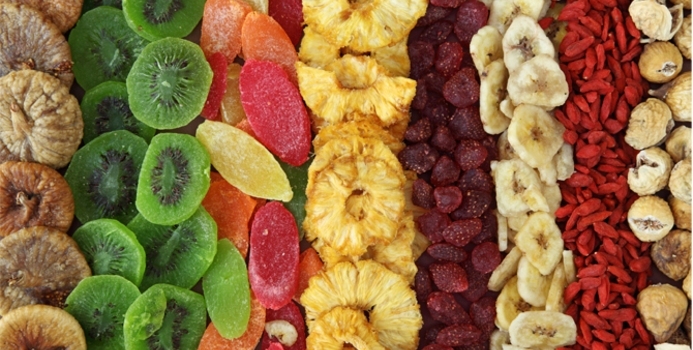 Dried fruit is a bit better in fresh in this case because of the fact it is so calorie dense. Trying to eat three apples would very likely leave you feeling rather bloated and full, but in a simple handful of dried fruit you can easily get those calories in without worry. Combine some dried fruit, nuts, and whole grain cereal for a quick trail mix to take wherever you go. 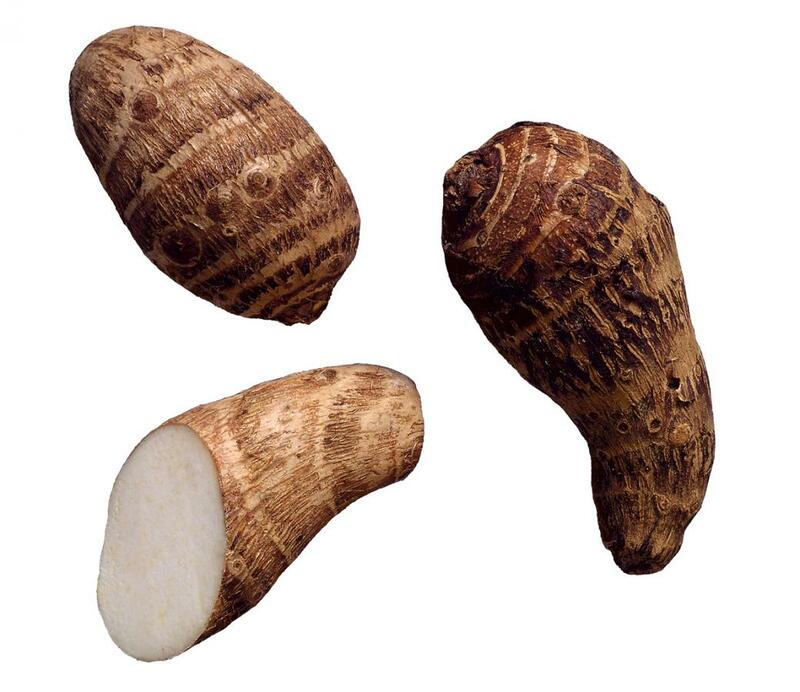 Sweet potatoes are rich in simple starches and complex carbohydrates, and high in fiber, beta-carotene, and vitamins. 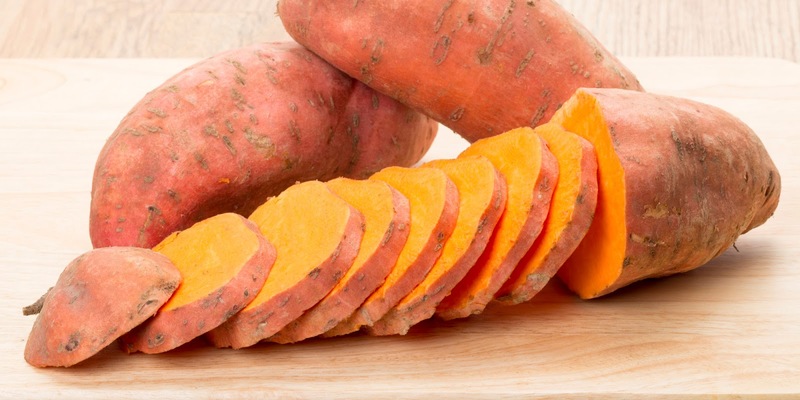 Its naturally occurring sugars (9g) will raise insulin levels—if you’re diabetic, yams are a better choice, because they have more fiber and less sugar—but one medium-sized cooked sweet potato comes in a little over 100 calories and boasts 27g of total carbohydrates—four of which come from fiber. And sweet potatoes are a powerhouse recovery food. Its carotenoids help aid cell repair, the starchy carbs help restock energy stores, and fiber will keep you full so you’re not digging around for its unhealthier cousin—the potato chip. 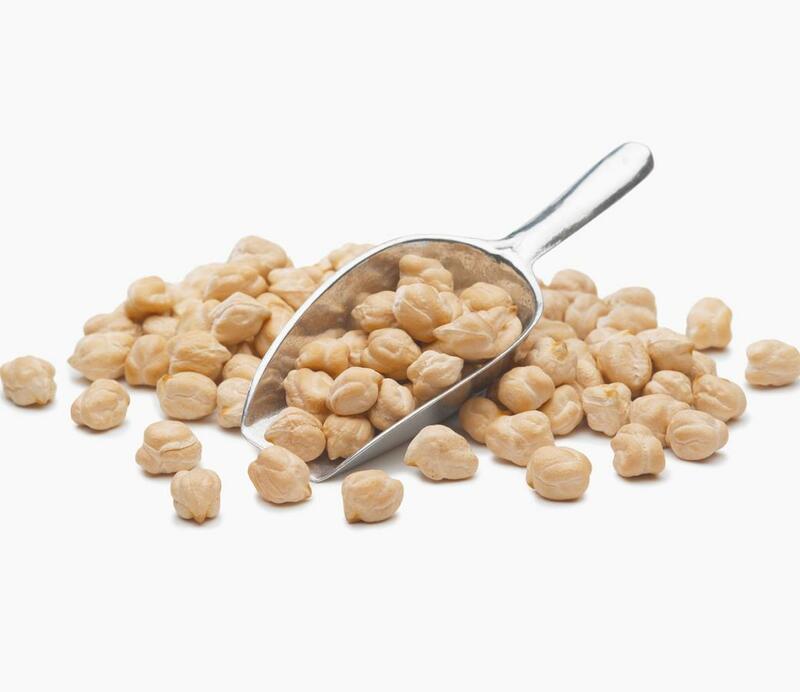 One of the more popular legumes, chickpeas are an excellent carb go-to—especially if you’re trying to stay lean. One cooked cup of this versatile bean contains 45g of slow-acting carbs, 12g of which are fiber. Daily consumption can lead to better weight management and weight loss because they’re low on the glycemic index and stabilize your hunger levels. What’s more: research has found it can even lower bad cholesterol.